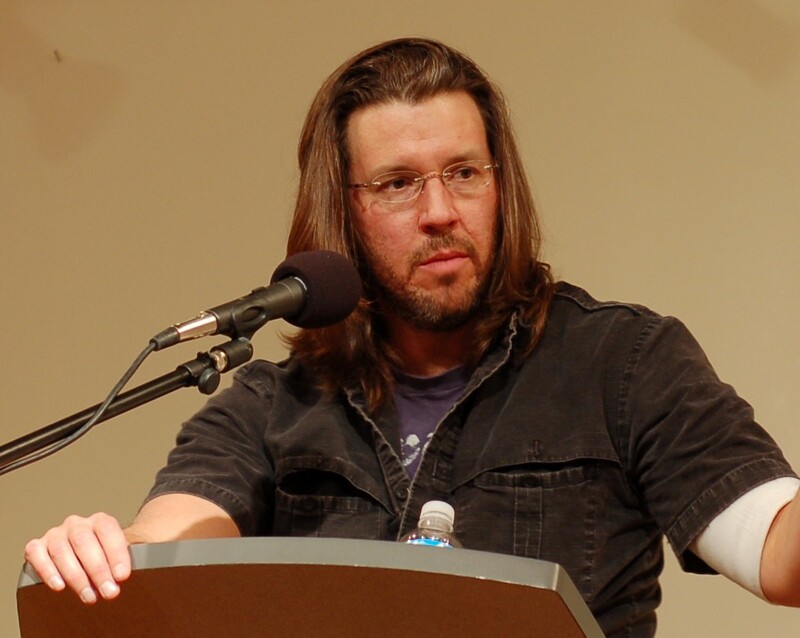 Many consider David Foster Wallace the greatest writer of his generation. He’s loved by most, criticized by some, but there is no one who has read his work that will argue against the fact that very few people in existence have shown such clarity and command while using the English language. Personally, there is no other writer I have read that makes me feel as diverse a range of emotions. His words have made me laugh, left me in awe, had me frustrated — sometimes a little sad — and they have pushed me to quietly question everything I think I know. He tragically ended his life in 2008, but he left behind a wealth of wisdom. I’ve picked out 5 pieces that I quite like. With the passage of time, we tend to add layers to define ourselves by. As these layers take form and solidify, we find comfort and joy and wonder in exploring their corners and in further navigating their depths. Wallace discusses this in the context of reading and writing. If you spend enough time reading or writing, you find a voice, but you also find certain tastes. You find certain writers who when they write, it makes your own brain voice like a tuning fork, and you just resonate with them. And when that happens, reading those writers … becomes a source of unbelievable joy. It’s like eating candy for the soul. And I sometimes have a hard time understanding how people who don’t have that in their lives make it through the day. We all know the feeling, but we don’t always make it priority. For some, it may present itself through a medium other than a book. Either way, it’s about finding and discovering a wavelength and connecting to it. Take time to form your tastes, absorb ideas, and let them nourish your life. Most of us live as much in our imagination as we do in reality. We create beautiful narratives about our lives, and wonderful ideas about our work, and we dwell on their magic and whatever potential they hold. We get seduced by perfectionism and its allure. But as Wallace noted in an old interview, it comes with a cost. You know, the whole thing about perfectionism — The perfectionism is very dangerous, because of course if your fidelity to perfectionism is too high, you never do anything. Because doing anything results in … It’s actually kind of tragic because it means you sacrifice how gorgeous and perfect it is in your head for what it really is. But the thing is, what you create in your head isn’t real. Neither is the idea that anything in reality can or should be perfect. Have realistic expectations of your life, your work, and your relationships. Imagine, but don’t be afraid to act. Create, and then focus on improving. We all have our differences and idiosyncrasies on a surface-level, and we often use them to categorize ourselves as unique. In some ways, we are. But we’re all also far more similar than we like to think. We feel the same things, we worry about the same things, and we crave the same things. This is summarized perfectly by a single line in Infinite Jest. If that doesn’t put things into perspective, then consider this: what’s so good about being different for the sake of being different? In a way, this inclination to isolate ourselves from others does just that. Wallace was often characterized as a genius. He would get hounded by interviewers about where it came from and how it manifested. I think one of the true ways I’ve gotten smarter is that I’ve realized that there are ways other people are a lot smarter than me. My biggest asset as a writer is that I’m pretty much like everybody else. The parts of me that used to think I was different or smarter or whatever almost made me die. It’s okay to be a little different and take some pride in that, but it’s equally important realize that we are all pretty normal. And that’s not a bad thing. It’s precisely the thing that makes human connection possible. All of us have our own motivation behind how and why we live. Together with the sensory information we consume from our surroundings, this motivation dictates much of where life takes us. The fact that we each get to choose how to frame context and meaning based on our experiences is empowering. But it’s not without its faults. By putting something on a pedestal, we give a part of ourselves to it. And as Wallace made sure to point out, there is another side to this kind of worship. And worship it certainly is. There is no such thing as not worshipping. Everybody worships. The only choice we get is what to worship… If you worship money and things — if they are where you tap real meaning in life — then you will never have enough. Never feel you have enough. It’s the truth. Worship power — you will feel weak and afraid, and you will need ever more power over others to keep the fear at bay. Worship your intellect, being seen as smart — you will end up feeling stupid, a fraud, always on the verge of being found out. There will be things that dictate your life, whether they be a set of ethical principles or your commitment to a cause. And some of these things will make you miserable, while others will light a lasting spark inside of you. Either way, you get to choose, and that choice is something you’ll live with. What you worship defines you. Be careful with the story you tell yourself. In 2005, Wallace gave a famous commencement speech at Kenyon College. It was about the fact that the most obvious realities of existence tend to be the same ones that we are extremely quick to overlook, forget, and ignore. It’s perfectly encapsulated by a short story he shared. Water is everything you take for granted. Water is everything you unconsciously ignore. Water is everything you think you know, but you don’t. Water is fighting that mindless, default setting of your brain. Water is knowing that you are not at the center of the universe. Water is simple, intentional awareness of your surroundings. It’s all harder than it sounds. But it makes every bit of a difference. I write at Design Luck. It’s a free high-quality newsletter with unique insights that will help you live a good life. It’s well-researched and easy-going. Join 16,000+ readers for exclusive access.